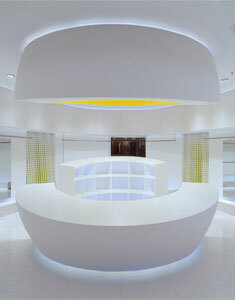 SKSK Architects designed the Romanticism Store in Hangzhou, China, using the egg as inspiration, meaning born, future and develop. 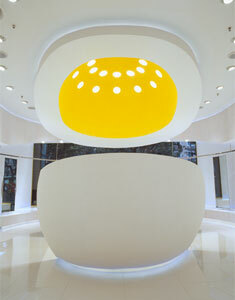 The huge egg standing in the middle of the shop is separated in two parts. 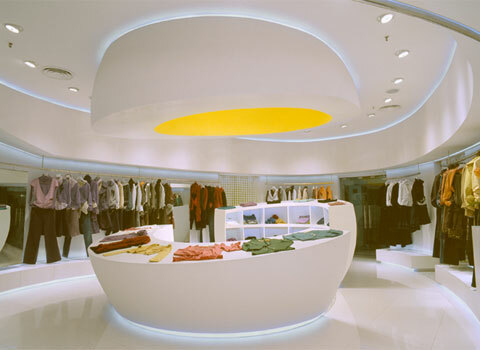 There is a lower section facing the entrance that can be use to display the clothes on it, meanwhile stepping around the higher section the customer can see the rest of the goods.